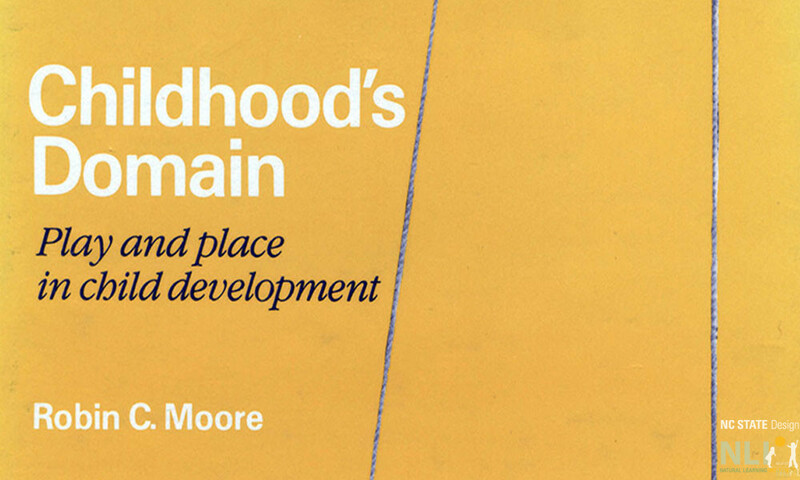 Chapter three from Robin Moore’s book Childhood’s Domain: Play and Place in Child Development explores two aspects of children’s continuity of behavior in the field. First is what one pair of children called “gymnast.” This apt description described the way in which they hopped, climbed, balanced, skipped, rolled, swiveled, and squeezed through, on, over, around, and inside their surroundings — using ledges, posts, walls, curbs, banks, bollards, doorways, steps and paving stones — their movement choreographed by the landscape, as their bodies responded to its every opportunity. And the second aspect of continuity is a less visible reflection of the merging of pathway and place and it applied to a number of children who made so many digressions from their original goal that it became lost in a wealth of substituted activity. Some of the trips were rather like starting out driving down a motorway and then allowing oneself to be progressively diverted by narrower and narrower country lanes, stopping at every point of interest along the way, until the original purpose and destination of the trip becomes completely forgotten.